In your everyday look, you may be one to experiment with trends or perhaps you like to stick to the classic beauty looks. On your big day, you too can rock the runway beauty trends with all the sass of a supermodel! The key to trying out the trends is to simplifying them and use as moderate inspiration. Bright Orange Lipstick: While this shade may not be a first choice for many, give it chance by going with a coral toned shade; this hue is known to compliment many skin tones. A pop of color will go wonderfully with slightly flushed cheeks to keep you from looking washed out in your gorgeous white gown. Golden Eye Shadow: As seen on models at Jason Wu’s spring ’14 show, this look is absolutely ravishing. Highlighting the brow bone with a light shimmery shadow created an awakened look complimented by sparkling golden lids. 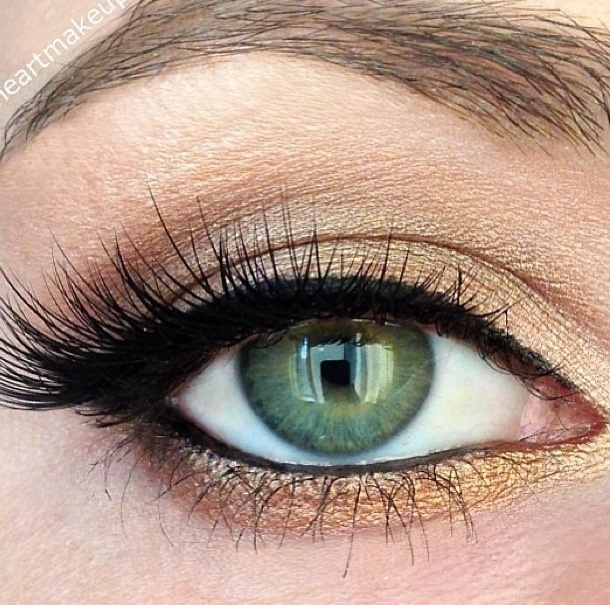 This is a high fashion alternative to the “neutral” eye shadow many brides go for while still keeping things simple. Sweet Berry Lips: The perfect pout is a combination of coloring and staying power. Posing for photos and kissing your groom whenever you hear the clinking of glasses will certainly take a toll on your lipstick. Start with a deep berry lip stain and cover with lipstick to keep your color lasting all day long. Compliment a berry pout with shimmering eyelids and perfectly highlighted cheeks. 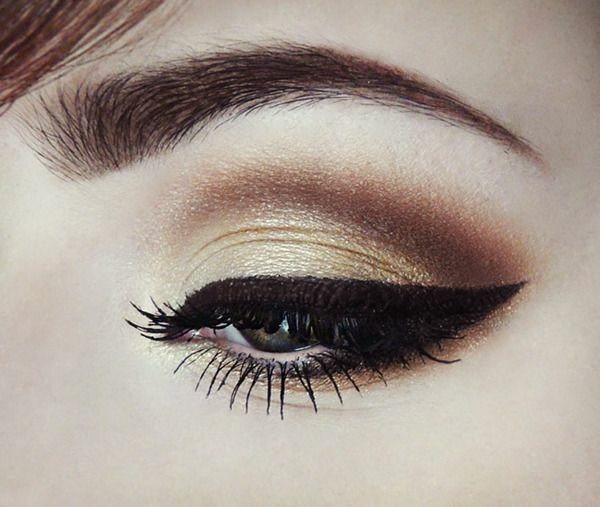 Winged Eyeliner: Keeping things polished, make sure if you’re going to wear this classy look that your makeup artist uses a smudge proof liner and mascara in anticipation of happy tears! Since this is a more dramatic trend, opt for a lighter lip and slightly flushed cheeks to balance things out. Highlighting the cheekbones will ensure your eyes will be the focus of this gorgeous look. 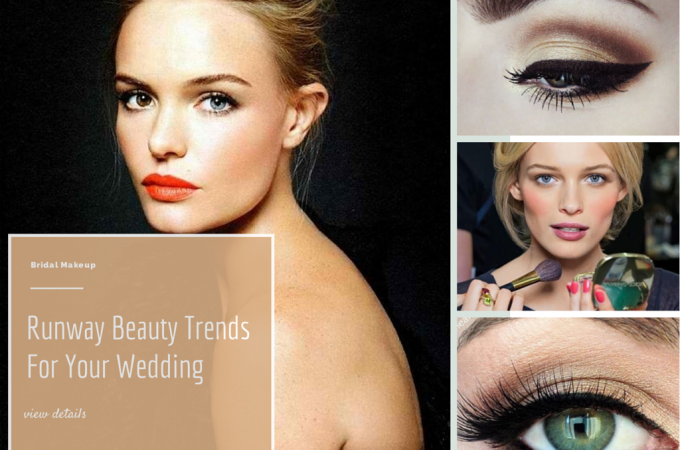 While a trendy wedding day makeup look may not be exactly your style, take bits of inspiration from these fresh faced beauty trends and make it all your own. No matter which look you choose for your special day, remember to feel beautiful inside and out!